GIVE A WHIRLIE GOOD DAY! WHIRLIE, A.K.A Shari Nathan, is a Shreveport, Louisiana native. She received a scholarship in voice and theatre to the prestigious Interlochen Arts Academy, subsequently completing her BFA at New York Universityʼs Experimental Theatre Wing. Upon graduation, she worked with some of New Yorkʼs most influential theatre companies, including stints with Playwrights Horizons, La Mama, and the Bread and Puppet Theatre. With such an impeccable, academic, and professional preparation, it was easy to make her ultimate job choice: a clown! 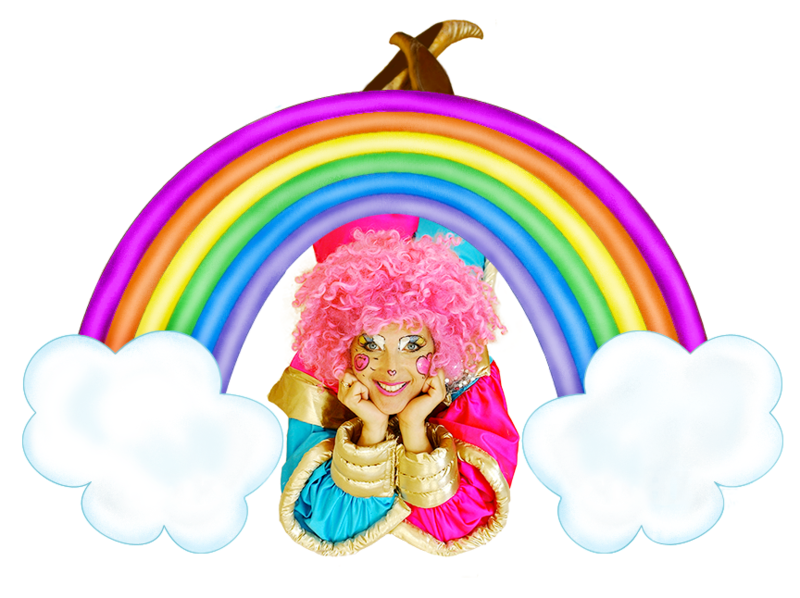 Whirlie has performed for numerous kids charities and continues to be an advocate for children.She has also performs for celebrities and entertains in countless gatherings over many years. From the Rolling Stones to President Reagan, from Will Ferrell to Frank Zappa, Whirlie has captured the child in all of them and brought it to life.